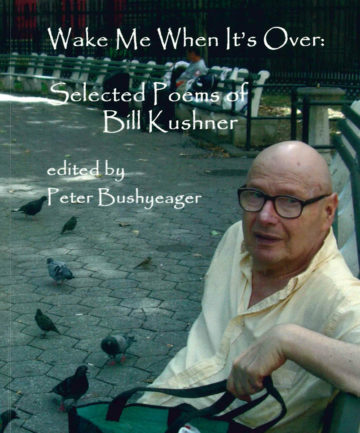 Bill Kushner (1931-2015) authored eight collections of poetry and co-authored a volume of collaborative poems with Tom Savage. 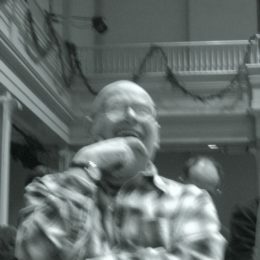 His work has been anthologized in Up Late (4 Walls & Windows, 1987), In Our Time: The Gay and Lesbian Anthology (St. Martin’s, 1989), Out of This World (Crown, 1991), Best American Poetry 2002 (Scribners, 2002), and Poetry After 9/11: An Anthology of New York Poets (Melville House Publishing, 2003). He was a 1999 and 2005 Fellow of the New York Foundation of the Arts.